The new Peugeot Partner van is both compact and robust enough for every job. The Peugeot Partner van features state-of-the-art technology. You can bring up the screen of your smartphone on the 7 inch multimedia touchscreen using the ingenious MirrorScreen and CarPlay functions and The Active City Brake, reversing camera, parking sensors and Grip Control features also mean safer and worry-free driving. Finally, the efficient BlueHDi diesel engines offer enhanced drivability accompanied with low levels of fuel consumption and CO2 emissions. 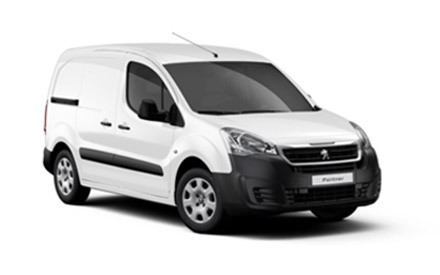 For more information about any of the new Peugeot Partner van range you can contact our Peugeot Warrington Motors dealership and check out this impressive utility van in person.